I love shoes. I am pretty obsessed with them. Although I can't actually walk in heels so I wind up buying these gorgeous pairs and then only wearing the same pairs of flats day in, day out. Still, I like having them around. It's like living in a shoe museum. I'm ok with that. So, in light of this, here is my ultimate shoe wishlist. I planned to showcase 10 pairs but I got a bit carried away. Nevertheless, get ready for my 13 dream shoes, from oh-go-on-then to I-blooming-wish! I'm obsessed with animal print lately. A few more print shoes will appear later. I love this pair because of the dash of red. It's so tacky, so wrong but oh-so-right! Black patent shoes are my staple item. 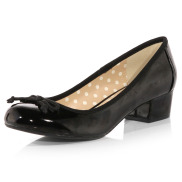 The block heel and round toes gives this pair a lovely little mod feel. I've loved Iron Fist ever since I was obsessed with Gerard Way due to their weird creepy details. This Wolfbeater pump is perfect for me. It's flat- so I'd actually wear it- and it has the gory fang motif. Pretty cool, huh? The cute little bow on the side keeps a girly twist. I've wanted these shoes for about 4 years now and I still haven't bought them. I should probably work on that soon. Hooray! More animal print! We should all know by now how much I love dalmatian print and these shoe boots are no exception. They're so sweet! More Iron Fist! I couldn't decide between this pair and the Wolfbeaters so I went for both. I love sequins. 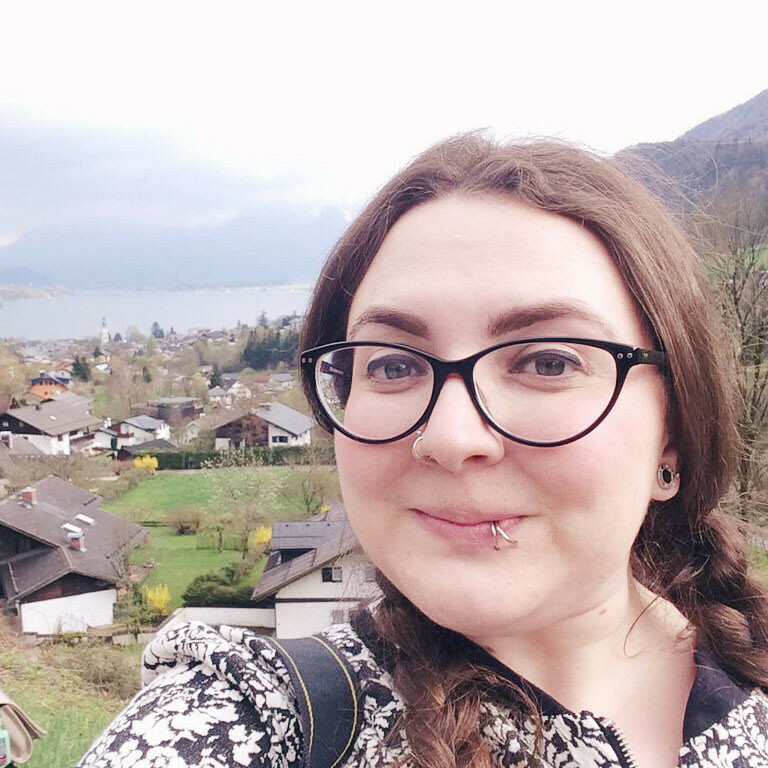 They're tacky, brash and out-there: Everything that I love! I also have a huge penchant for the Union Jack, as well as the patriotic colours in general, so these are just perfect. I can't work out what the darker patch on the front is. It's not a shadow as it's in the photos of every angle. It looks like a blood stain to me. I can work with that. Irregular Choice shoes are so sweet. They have the cutest little details, including floral soles, and I love the birds and roses on this pair. Plus they're red suede. You can never go wrong with red suede shoes. Now for two pairs of Underground Creepers. Both dalmatian print. These Wulfrun ones are my favourites. I'd wanted a pair just like this in leopard print but when I saw that they came in dalmatian, I melted. They are stunning. However, you can't deny that these are pretty spectacular. Dalmatian print pony skin creepers. And is that a glittery sole? Oh my! I cannot get over how pretty these are. They're so sweet that my teeth ache just looking at them. I love how they're so chunky and 70s-tastic in design but then there's this totally contradictory sugary pastel palette. Plus, they're called Geldof which is just pretty awesome all round. Time to bring out the big guns! They're suede. They have adorable little skull motifs. They're flat. They'd go with anything. They're Alexander McQueen. Do I need to elaborate? Hey, don't knock the price tag! The Orient Express boots are in the sale reduced from £935. I don't know about you but I think £367 off is pretty good! Just look how melodramatic they are. The drama! 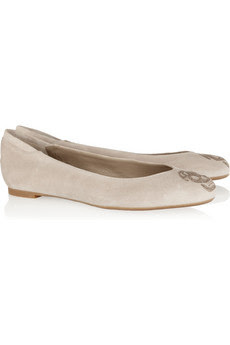 These are certainly statement shoes! 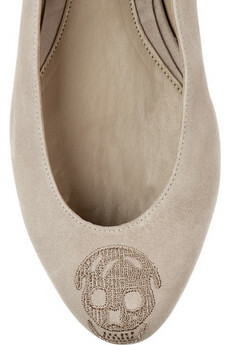 Well, these Ginnie shoes are certainly adorable! Just look how darling they are. Polkadots, peep toes, bows, monochrome and that pop of neon pink. Get on my feet now! Let's wrap things up with Miuccia's finest. 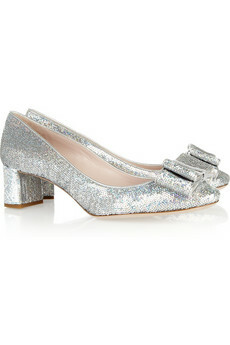 These Miu Miu shoes are spectacular. They're sequinned, they're block heeled and they have bows on the toes. What's not to love? Finally, we have these Prada beauties. Some say they're tacky. Hah, if we learned anything through this blog post, it's that Becky loves tacky! Look at them! They have rocket ships coming out of the wedge! They have flames licking up the ankles! They're pastel perfection! 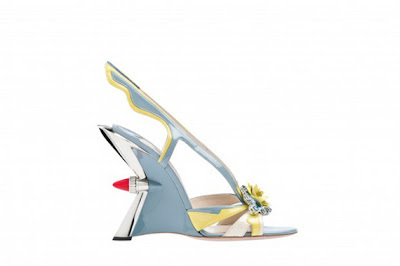 It's like the Jetsons have materialised in shoe form. Want, want, want! 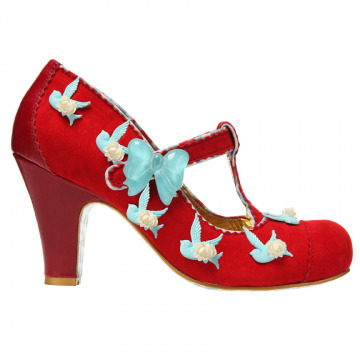 I am absolutely in love with the shoes from Irregular Choice! They are gorgeous! All of these are so awesome! 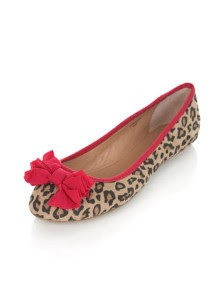 I have to say my fav pair are the leopard print flats!! The red ones with birds are so cute! Like those shoes!